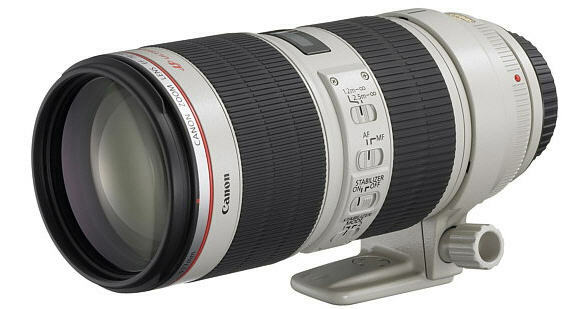 I recently picked up the Canon EF 70-200mm f/2.8 USM II lens. This thing is a beast. It is long and heavy, and looks like you could shoot a small cannonball out of it. That being said, it’s also one of the best lenses in existence today. With an extremely wide aperture and a image stabilization (thus allowing for fast shutter speed in low-light situations), this lens is considered by many wedding, portrait, and event photographers to be absolutely essential. One of the biggest difficulties of using this lens is that it’s so conspicuous. You can’t carry this around a public place without looking like either a photographer on a job or a stalker. As a result, I only feel comfortable using it for specific events. I’m still getting the hang of using this thing, and I am particularly curious about the use of image stabilization, and trying to optimize it in certain settings.